The Iveco Daily cab chassis is the ideal platform on which to build a motorhome body, that’s why it’s the cab chassis of choice for a large majority of Australian motorhome manufacturers. The Daily is available with an industry-leading 8-speed ‘Hi-Matic’ full automatic transmission, providing seamless power delivery and effortless driving, courtesy of a self-adaptive shift strategy and superfast gear changes. Coupled to the Hi-Matic are a choice of two powerful yet fuel efficient turbo diesel engines, available with 170 hp or a segment-leading 205 hp. This provides the Daily with a towing capacity of up to 3500 kg (braked), for extra versatility to tow a boat, motorcycles or 4x4. On the safety front, the Daily is well equipped featuring front and rear disc brakes with ABS and Electronic Stability Program (ESP), while four airbags (driver, passenger and curtain side) help keep occupants safe. Keeping motorhome customers on the road for longer and reducing running costs are 40,000 km service intervals. And in the unlikely event you need our help, Iveco also offers comprehensive 24/7 Roadside Assistance free of charge for the cab chassis warranty period (3yr/200,000 km), when combined with your motorhome manufacturer’s own roadside program. The Iveco Daily motorhome cab chassis is available in three wheelbases and with GVMs ranging from a car licence-friendly 4,405kg to 7,000kg. 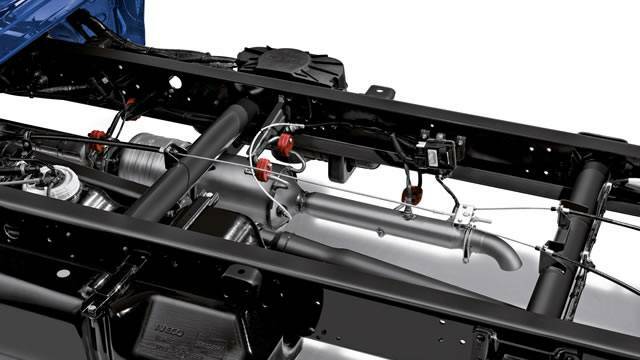 Powering the cab chassis range are two core direct-injection Iveco diesel engines, both of them are 3 litre units that deliver market-leading power and torque outputs. The entry level 3 litre engine is turbocharged using a variable geometry system and intercooler to produce power of 170hp / 125kW @ 2900-3500 rpm and torque of 317lb ft / 430Nm @ between 1500-2600 rpm. Also available is a twin turbo version of the 3 litre which offers increased power of 205hp / 150kW @ between 3100-3500 rpm and hefty torque output of 347lb ft / 470Nm @ between 1400-3000 rpm. This is market-leading power and torque and provide your motorhome with an abundance of power for towing and safely overtaking. 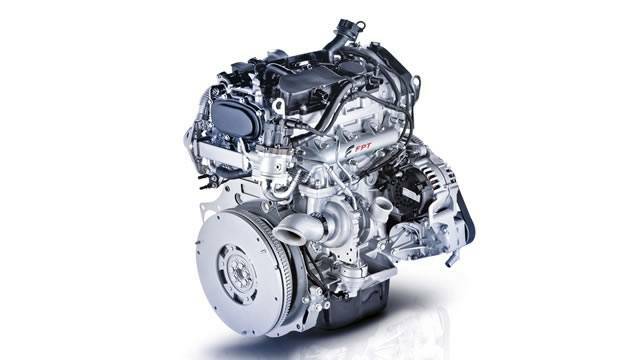 In addition to these engines’ impressive power and torque figures, the latest Daily range is also more fuel efficient than the previous generation by approximately 4.1% thanks to adoption of low friction piston rings, use of high-grade, low viscosity lubricants and reduced drag coefficient for van models. The new Daily range introduces an exclusive, industry-first 8-speed ZF ‘Hi-Matic’ full automatic transmission until now only available in high-end luxury vehicles. This exceptional transmission provides the operator with an effortless driving experience courtesy of a self-adaptive shift strategy that results in optimised gear selection and shifts that take less than 200 milliseconds. The version of the Hi-Matic used in the Daily has been strengthened for light commercial vehicle applications and was extensively tested for Australian climatic conditions – the unit features an external cooler and an independent transmission support for improved durability and cooling efficiency. To assist in reducing fuel consumption, the Hi-Matic features both ‘Eco’ and ‘Power’ modes. 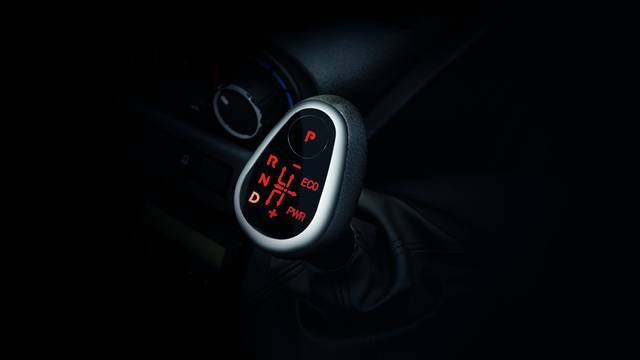 When Eco is selected, the transmission changes gears at lower rpm, while Power mode holds the vehicle in each gear for longer for even crisper acceleration should it be required. Operators who enjoying changing their own gears can opt for the 6-speed synchromesh double overdrive, manual transmission. This alternative to the ‘Hi-Matic’ provides smooth engagement via the single dry plate, hydraulically-controlled clutch, while manual gear changes using the ergonomically-designed, dash-mounted shifter are light yet precise and very car-like. With many Daily motorhome owners expected to spend long periods on the roads driving to their favourite holiday destinations, Iveco have equipped the new model with an extensive array of active and passive safety features. While some light commercial vehicle competitors provide a front disc / rear drum brake set-up, the new Daily offers the superior stopping power of disc brakes ‘all-round’. Adding to the braking equation is ABS with EBD (Electronic Brake Force Distribution), while Iveco ‘Hill Holder’ technology ensures there’s no rollback when starting on an incline. All models adopt new low level fog lamps with cornering function. The cornering function automatically activates the fog lamps on bends casting light into the direction the driver is steering. It also engages once the indicator is applied. Vehicles also feature optional Electronic Stability Control and Trailer Sway Mitigation which sees the Stability Control intervene when instability in the trailer is detected. Passive safety features include driver, passenger and curtain airbags. Other features of the Electronic Stability Control package include: Anti Slip Regulator, Adaptive Load Control, Hydraulic Rear Wheel Boost, Hydraulic Fading Compensation, Roll Movement Intervention and Roll Over Mitigation. With Daily motorhome customers often spending long periods on the road it’s important that the driving environment is comfortable and as stress-free as possible. Seating in the new range has been lowered by 15mm for easier cabin ingress and egress, the steering wheel has also been reduced in size to provide a more car-like feel. An increased windscreen height has resulted in improved visibility while the dashboard has been completely redesigned with emphasis on intuitive placement of all dials and controls. Extra comfort for the driver and front passenger comes courtesy of mechanically-suspended seats with multiple adjustments – the new range also offers the option of heated driver and passenger seats with three degrees of freedom. Helping to provide car-like comfort and manoeuvrability (10.5m turning circle) is independent front suspension (double wishbone or torsion bar depending on variant) along with parabolic rear suspension. Other benefits of the new range include improved soundproofing and a more efficient automatic climate control system featuring ‘EcoMac’ technology. Similar to an inverter in a household RC system, EcoMac optimises the operation of the unit compressor to precisely meet the actual cooling and heating needs, delivering just the right in-cabin temperature and reducing fuel consumption. The vehicles’ 4-speaker audio system features FM/AM tuner; CD/mp3 player; USB drive via USB input on the dashboard, AUX input; Bluetooth connectivity and radio and phone controls on the steering wheel. The unit also features an integrated 4x20W amplifier. 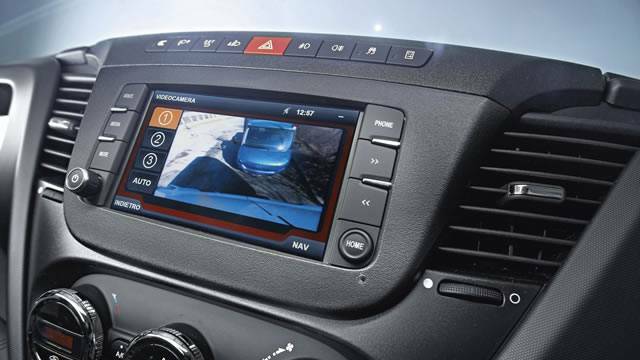 Satellite navigation is available as an extra as is a reversing camera. Elsewhere in the cabin are generous storage areas including purpose-designed compartments to hold phones and tablets. A modern and attractive instrument cluster displays all of the vehicles’ necessary operational information. 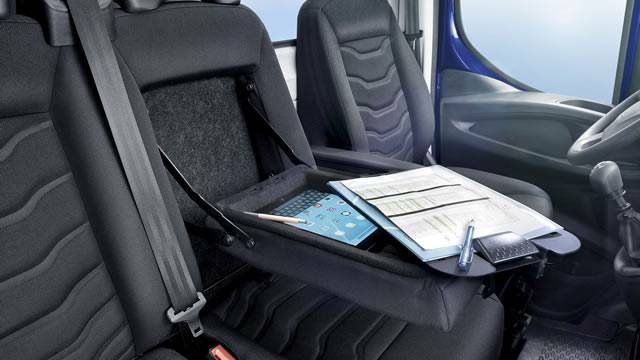 Another key feature of the Iveco Daily is its strong truck-like solid steel C-section chassis. This approach is unique to the new Daily and sets it apart from many competitor models developed with car-derived underpinnings. The result is a robust load-bearing chassis that allows for greater load capacities, easier fitment of motorhome bodies and vehicle durability. The new Daily is modern, sleek and aesthetically-pleasing while keeping functionality in mind. The distinctive angled headlamps are positioned high up on the cabin and set-back to minimise damage from minor knocks. A hardwearing strip along the base of the cabin similarly protects against minor knocks. The rounded bonnet is generously proportioned providing improved aerodynamics while allowing easy engine access at service time. The new Daily boasts a reduction in fuel consumption of 4.1% compared to the previous models, while still providing strong engines with high power and torque outputs. The low fuel consumption is achieved through a combination of features. The engines themselves now use low friction piston rings and higher grade engines oils. A ‘smart’ alternator has also been introduced – this device is activated when the accelerator is released and kinetic energy is recovered. Also assisting in fuel reduction is a driver-operated ‘Ecoswitch’. Designed for use primarily when the Daily is only lightly loaded, once pressed, the Ecoswitch reduces vehicle torque and horsepower. Other fuel efficiency measures have come from the new automatic climate control system which features ‘Ecomac’ technology. Similar to the inverter function in a reverse cycle air conditioner, Ecomac optimises the operation of the compressor to match the cabin’s actual cooling requirements. The final piece in the equation is superior cab aerodynamics, with drag coefficient greatly reduced by approximately 6% to a slippery Cx 0.316. The new range is backed by a 3-year / 200,000km standard warranty and boasts 40,000 km or 12 month (whichever comes first) engine oil service intervals for reduced workshop costs. 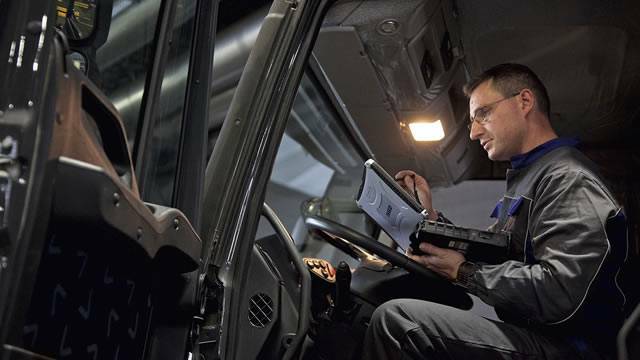 All new Dailys are covered by ‘Iveco Assistance’, a 24 /7 roadside assistance program, while owners wanting the peace of mind of fixed service and maintenance costs can opt for an Iveco service agreement – they are available with several levels of cover. Capping off the service and support offerings are the financing solutions available (on cab chassis not complete motorhome body) from CNH Industrial Capital. CNH Industrial Capital ‘lives and breathes’ the transport industry and can offer prospective buyers tailored financial packages to best suit their business needs. The new Iveco Daily is fast becoming a favourite for motorhome manufacturers looking to take advantage of the new model’s many market-leading features. 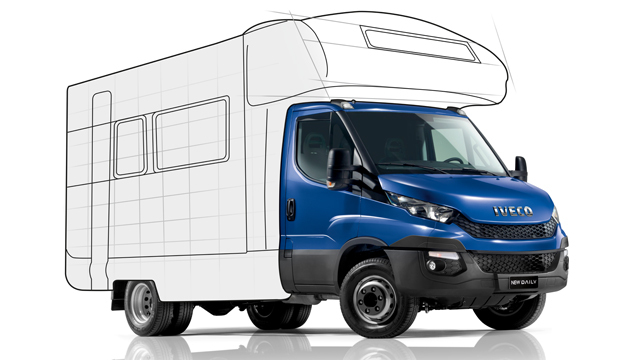 The latest Iveco Daily cab chassis on which leading motorhome manufacturers including Avida, Jayco, Suncamper, Paradise and Sunliner are developing their designs, feature an extremely innovative and user-friendly platform for motorhome applications.